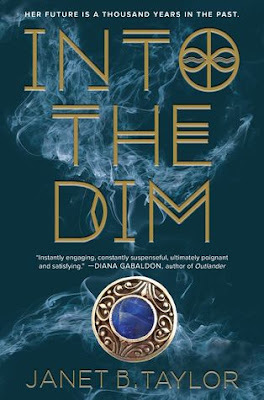 Into the Dim is the first time travel story I’ve read, and I thoroughly enjoyed it. I found it easy to relate to Hope on some levels, being an only child myself and also having a love for education much like hers. But I also felt for her because, unlike me, she’s very lonely. The most interaction she has with kids her own age is with her cousins, who not only are vastly different from Hope but shun her because they’re not blood relatives. And when Hope loses the person she was most connected to and loved by, her small world shatters, leading her to accept an invite to Scotland from her aunt, something she never would have done before. She knows things are about to change for her – she just has no idea how much. The story really begins once Hope gets to Scotland; aside from meeting other kids who are more like her (and a very interesting boy with heterochromia), she soon realizes the meaning behind her aunt’s invite. She’s been kept in the dark her whole life about a pretty major secret – time travel is real, and she’s about to have to take part in it. Soon. Hope’s small world is about to get a whole lot bigger. Once the cat’s out of the bag, the plot unfolds rather quickly; so I won’t say much more about the story itself, but I really did love it. The author’s writing is beautiful, the characters are incredibly lovable, and the details and setting are beyond captivating. I loved the bits of history intertwined with the story as well. It’s too bad time travel isn’t real for us readers, because I don’t know how I’m going to wait for the sequel to this amazing story! This book is being pitched as Outlander for teens, but I haven’t yet read Outlander so I have no idea how to feel about that. I’m not a fan of book comparisons, but I do know that Diana Gabaldon gave an enthusiastic blurb for this book if that’s something that appeals to you. Now, this YA science fiction is heavy on the young adult aspect; so if, like me, you are not that target audience, you may be resistant to the young characters’ dialogue and their social situations. There is a lot of build-up before you get to any actual time travel, which makes for a slower-paced beginning; but there’s a nice payoff when you reach a certain part. 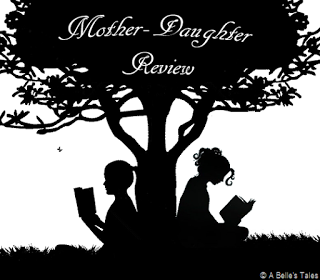 I’m very glad I read this with my teen – I loved the history and the period setting. The accounts of Eleanor of Aquitaine, King Henry II, Thomas à Becket, and Sister Hectare were my favorite! I enjoyed the author’s writing, especially her use of imagery. This book regales us with ley lines, Tesla, ancient artifacts, time travel, eidetic memories, and details that make me so very grateful to live in a century with electricity and indoor plumbing (not to mention a bouquet of much lovelier smells than our poor characters endure). This was a fun buddy-read with my daughter, and I know without a doubt that we’ll be grabbing the sequel for more! Huge thanks to the publisher for sending us a copy of this book in exchange for our honest review. I'm glad you guys liked this one. I've seen a lot of adult reviewers being cranky because it "reads like a young YA" - well like you said, it's not for them! lol - nice reviews! Can't wait to check this out. This looks awesome! And I love the cover! I haven't read Outlander either, but I need to give both a try. Great reviews, you guys! I always enjoy a good time travel and it has been awhile since I have read one. It seems like you both enjoyed this one. I have heard good things, so I might have to make room for it. I love time travel books! I'll definitely have to check this one out -- it sounds really great! Nice reviews. I love the sound of this. Definitely going to look for it! I just loved those reviews! Getting both perspectives is really amazing. I'm glad you both enjoyed the world and the writing style. Though the targeted audience is young adult, the book sounds very captivating and very interesting, so I'll have to pick it up when I can.